Hanoi Department of Tourism launches “Supporting Thang Long-Hanoi Tourism” programme. 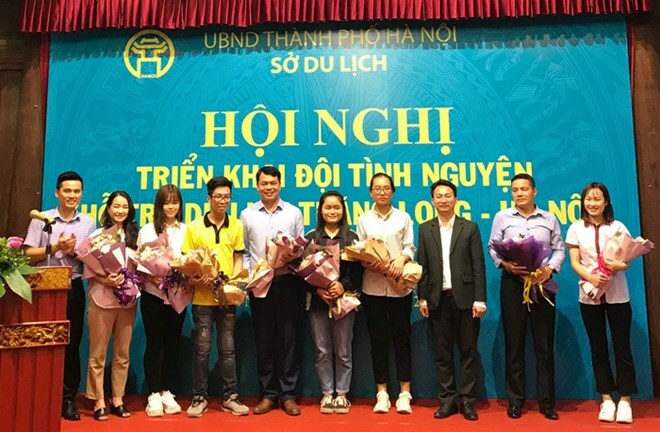 Hanoi (VNA) – As many as 300 students in Hanoi will promote cultural and historical values of the local tourist attractions when joining the “Supporting Thang Long-Hanoi Tourism” programme launched by the municipal Department of Tourism on March 22. The students were chosen at the Hanoi Open University, the University of Social Sciences and Humanities under the Vietnam National University-Hanoi, and the University of Languages and International Studies under the Vietnam National University-Hanoi, Hanoi Metropolitan University and the Hanoi University of Industry. All of them have good health, strict discipline and sound English speaking skills, and love voluntary activities.